By donating just £15 a month you will be able to subsidise the education of a child aged 7-14 at Sparrow Foundation School. In return, we will send you their photo and information about them and their progress. We will also circulate regular newsletters about our fundraising and other activities if you want to receive them. £750 a year given by an individual or by a group like a school or an office, will fund a full bursary for a selected pupil at Foundation or Combined School. The bursaries are for young people who cannot pay their basic school fee and receive no support from family members, government or other charities. Details of the young person and their progress will be given to donors. Click here to download our sponsorship and advertising leaflet. If you would like to send us a cheque, please download the Gift Aid form 2014. 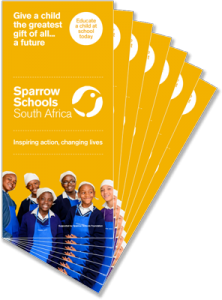 Cheques should be made payable to Sparrow Schools Foundation.